John Sovec is a certified yoga instructor whose spiritual journey has allowed him to open up to the healing power of the heart. In a joyous nurturing environment he encourages students to release fear and move through life with laughter in their hearts and peace in their spirits. This same nurturing energy is present in John’s practice as a psychotherapist in Pasadena CA. His approach to therapy is very similar to his approach to yoga in focusing clients on uncovering their personal strengths, building upon those strengths, and encouraging clients to live the best life they are capable of living. 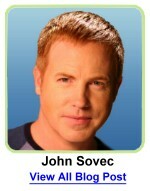 John specializes in individual therapy, loss and grief counseling, and teen therapy. His work offers clients the opportunity to unveil their true selves and experience life to the fullest.